Even though many of the Young Audiences Arts for Learning (YA) affiliates have started the school year, for many of us, Labor Day signifies the end of summer.  Looking back at the YA network’s expansive summer programming, we would like to highlight our affiliate in Chicago, Chicago Arts Partnerships in Education (CAPE). We were fortunate to interview the teaching artist, Juan-Carlos Perez, about the residency program’s success and his experiences working in the Chicago city schools. To create an arts integrated community project, CAPE extended their acclaimed community school program- funded by a 21st Century Community Learning Centers grant from the US Department of Education- into the summer. At the Waters Elementary School, students, families, teachers, and community members were involved in creating a unique series of mosaic projects. 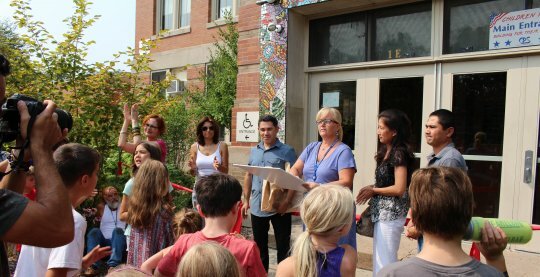 All of the participants contributed to their ideas and designs, and helped with the installation of the mosaics, one of which now adorns the main entrance to the Waters Elementary school. 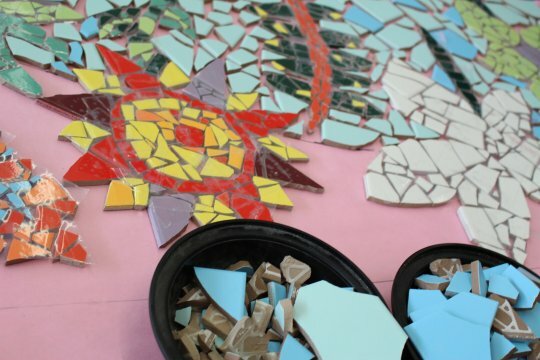 The two other freestanding mosaics, created in homage to the Watts towers located in Los Angeles, CA, were created using traditional tiles as well as fragments of plates, glasses, mirrors and other materials contributed by community members. The project received overwhelming community interest and support. It was led by Teaching Artist Juan-Carlos Perez and several teachers from Waters Elementary School, as well as over 60 community volunteers. The mosaic project, installed at the front entrance of the school, was dedicated to Joanne Nguyen, a student who passed away earlier in the summer. The dedication ceremony was held August 31 at the school and her family was able to attend the event. The dedication Ceremony on August 31, 2015. Young Audiences Arts for Learning: How did you first get involved with CAPE? Juan-Carlos Perez: In 2002, I was working on an independent community arts project which worked with a Chicago mural arts organization. My method of teaching was a bit different than other teaching -- it focused on exploring the artistic voice of the community. Hearing about my community arts projects, CAPE reached out to me. I wanted the opportunity to explore new methods of arts integrated learning and CAPE gave me the opportunity to do so. They encouraged me to investigate and incorporate my own artistic inquiries into teaching. They pushed me to grow as an instructor, artist and researcher. YA: How did the idea for this community mosaic project come about? JP: CAPE and I wanted to create a hands-on art experience in a school that would bring the community together. I had previously finished a few arts education projects as well as some after-school student programming at Waters Elementary School and I knew the staff well. Many years ago CAPE and I worked to create an English to Spanish (ESL) arts integration program for adults and we decided to connect the parents to what is happening in the classroom. We explored several ways of engaging different communities in school activities which eventually led to collaborations with an ecology instructor and the school’s art teacher. 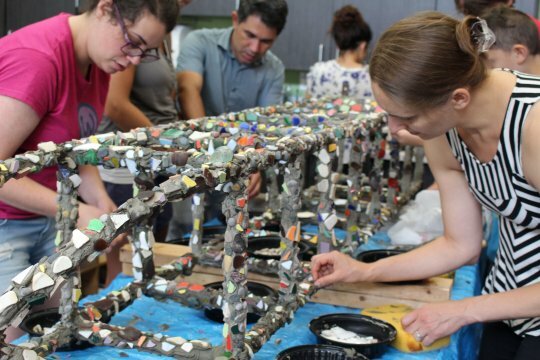 The process of creating a mosaic artwork has many steps and there is a place for everyone to be involved throughout the entire process – so it makes the perfect community project. YA: What impact has this program had on the community? JP: We had a very large turnout. Just three days into the project, we had more than 65 people show up to help us get started! This project created the opportunity for people to get to know each other and work together as a team. And while we worked hard, we also had a great time spending four days a week together (a total of 64 hours over a four week period). The mosaic art project felt like a family getting together to make tamales in the kitchen. It is a job that requires time and patience, but when you have friends and family helping make them, it becomes a fun bonding experience. In the end, everyone goes home with their share of tamales, a reminder of the time we had making them. Similarly, the participants of the mosaic project are reminded of their art-making experience every time they arrive at the school. They just have to look up and see the beautiful mosaic on the front entrance of the Waters Elementary.